Bare Land, Potential Development Property! FRIDAY OCTOBER 12, 2018 SALE TIME: 10:00 A.M. This 26.57 +/- acre bare land property is located less than ½ mile South of the Brookings City boundary line and provides a good opportunity for potential future development. This land lays level and has good elevation, and has access good public access from Western Ave S. This property is currently being cut for alfalfa hay with the lease expiring in the fall of 2018. 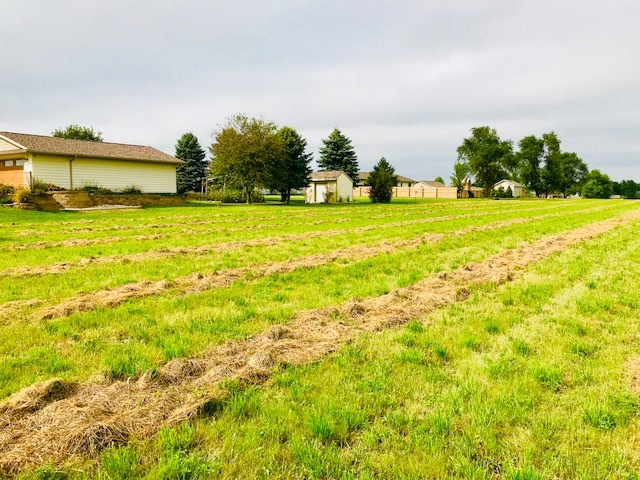 The land has good, rich soils, predominantly comprised of Vienna-Brookings Complex, and the total farm has a slope rate of 0-6%, making this an excellent laying piece with good eye appeal. This farm is zoned R1B, perspective buyers are encouraged to call the Brookings City Planning & Zoning Office & Brookings Utilities Office for more information on potential development and use. We invite you to inspect this land at any time. For additional information & Terms,contact the auctioneers or visit our website www.burlagepeterson.com. TERMS: 10% non-refundable earnest money deposit due day of sale with balance due on or before November 16, 2018. Title insurance and closing fee split 50/50 between buyer and seller. Seller to pay 2018 real estate taxes, payable in 2019. This property is sold subject to easements and restrictions, if any, and is sold subject to confirmation of owner. Statements made are believed to be accurate, but not guaranteed. Buyers responsible to do their own due diligence on developmental opportunities and usage rights. Property is not in city limits and no city amenities are guaranteed. Auctioneers and Realtors represent the sellers in this transaction.